Barbara Giacomo is CEO of Social Centered Selling and globally recognized as a sales leader. She’s the co-author of The New Handshake: Sales Meets Social Media. Barb is a popular keynote speaker, sales and social media strategist and she is also the host of the popular Razor’s Edge podcast, which you’ll hear more about it in this episode. Barb is consistently a Top 25 Influential Leader in Sales, a Top 25 Sales Influencer on Twitter, one of the Top Sales World’s Top 50 Sales and Marketing Influencers and she’s recognized as one of the world’s Top 65 Women Business Influencers alongside leaders like Arianna Huffington, Sheryl Sandberg, and Melinda Gates. That’s pretty impressive! Join Bernie and Barbara for a great conversation about how to better align marketing and sales within your organization. Social media was just starting to develop when Barbara Giamanco retired from Microsoft to start her own business. From that day until today she’s had a passion for people and a passion for technology. Combine that with her love of sales and marketing and you’ll understand why she began experimenting with the early social media tools. At that time they were clunky – Facebook didn’t exist yet and blogs were typically terrible, but the very next year, Barbara joined LinkedIn and began to feel like there would be more transformation of sales and marketing ahead. She’s come to see that with the rapid pace of changing technologies, if you’re not evolving, you’re dying. Barbara is one of those individuals who gets sales and marketing but also gets the technology side of things. 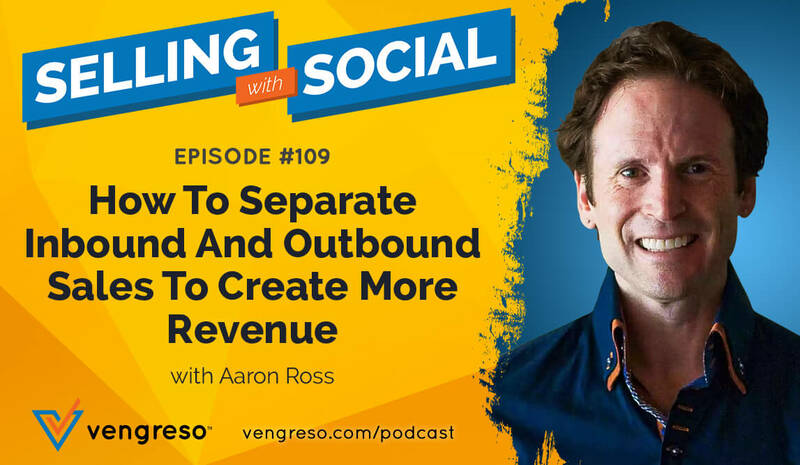 This conversation is an amazing look at some of the ways sales and marketing can become better aligned, for the success of individuals, the benefit of customers, and the profitability of companies. In the world we live in today, we have marketing technology at our disposal that enables more potential for alignment between marketing and sales than ever before. Barbara Giamanco says that technology is so much more advanced than it used to be, creating the foundation for a strong sales and marketing strategy. But she’s also aware that sometimes there’s an over-reliance on technology to solve the entire problem of misalignment between the sales department and the marketing department. Not all challenges related to sales and marketing, and certainly not everything having to do with the alignment of those two can be solved by technology alone. It’s obviously got to be there but there are other things that are important to make the alignment work. In this conversation, Barbara and Bernie discuss how the C-suite can bring about a greater alignment between marketing and sales, and how a more intentional focus on customer experience can turn the tide. Don’t miss it. Oftentimes the sales and marketing departments begin to gain some traction but discover that the CEO or other C-suite leaders have not fully bought into the initiative, they really aren’t driving it as they need to be. In that situation, maybe you’ll get somewhere, maybe you won’t. But the fact of the matter is this: Sales and marketing alignment starts at the top with a focus on delivering on customer experience. In the end, that means better alignment throughout all the departments not just sales and marketing. If you are C-suite leader in your company, Barbara and Bernie discuss issues directly related to the role you play in not only aligning marketing and sales for greater productivity but also building a healthier, more vibrant culture that will drive the company forward long term. Don’t miss this great conversation. Sponsor: Lithium Technologies helps brands navigate the sometimes overwhelming world of social media marketing and management, social customer service, online communities and social analytics. A leader in the space, they’re guiding brands to build trust with their clients while delivering top-notch customer experiences. Dayle leads the charge at Lithium Technologies on all strategic marketing initiatives. 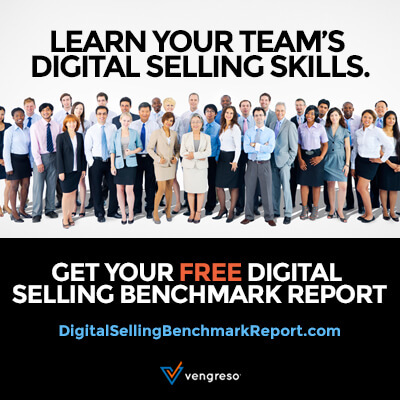 Selling with Social Podcast, with Mario Martinez, Jr.
[10:26] What is the role of the C-suite in enabling marketing and sales to align? Or, you can listen from your mobile device’s podcast player through iTunes orStitcher. This episode is sponsored by Lithium Technologies.